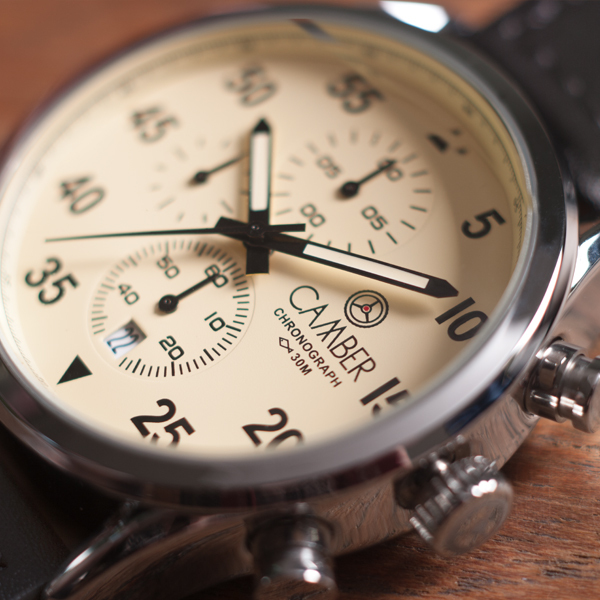 Commissioned by Bob Segers we created the branding for his new brand of wrist watches called Camber. 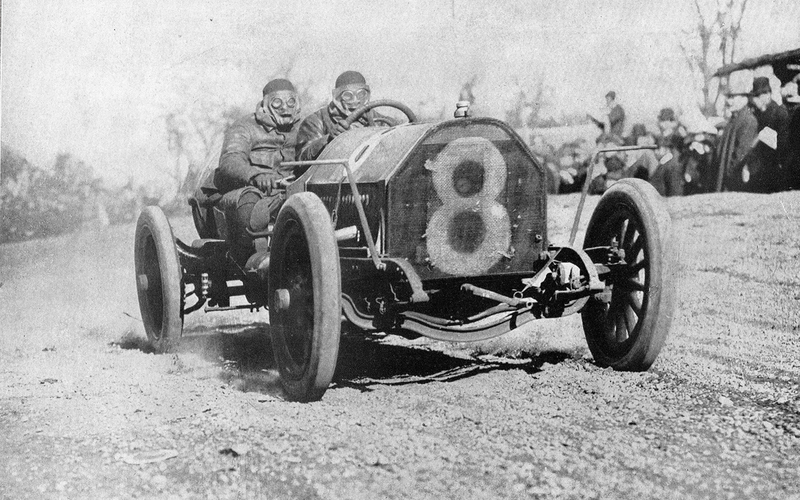 The name Camber is derived from a term used in race-car driving. 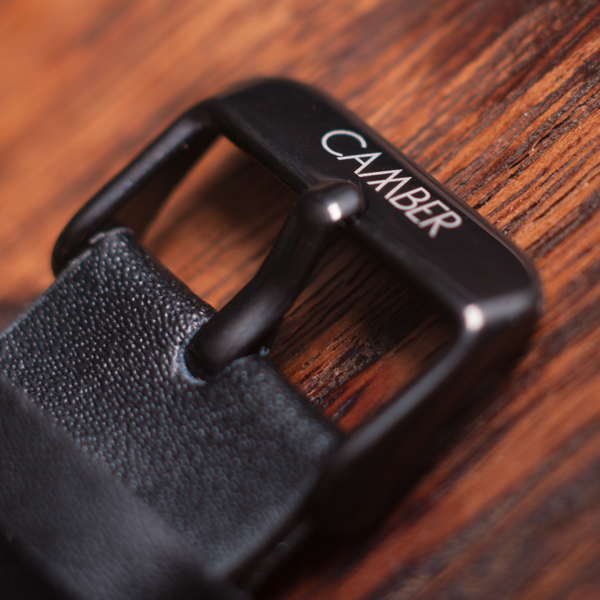 The so called camber angle describes the specific angle at which the wheels are set in relation to the wheels axis and is ment to improve stability and cornering. 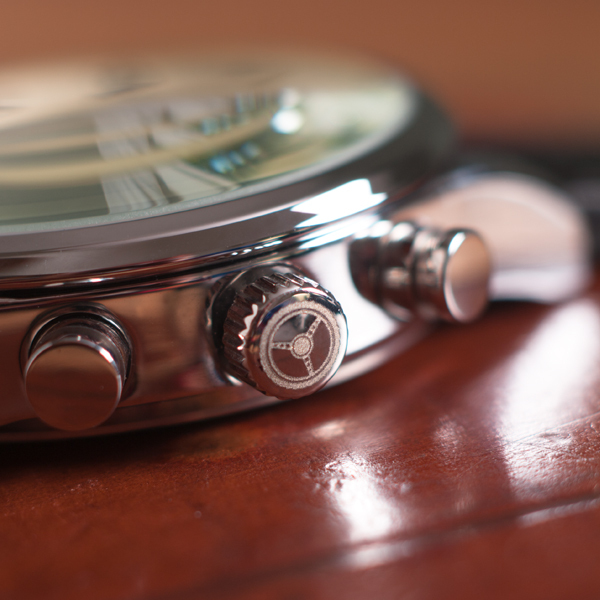 This is a precise affair which can shave valuable seconds of the drivers lap-time. 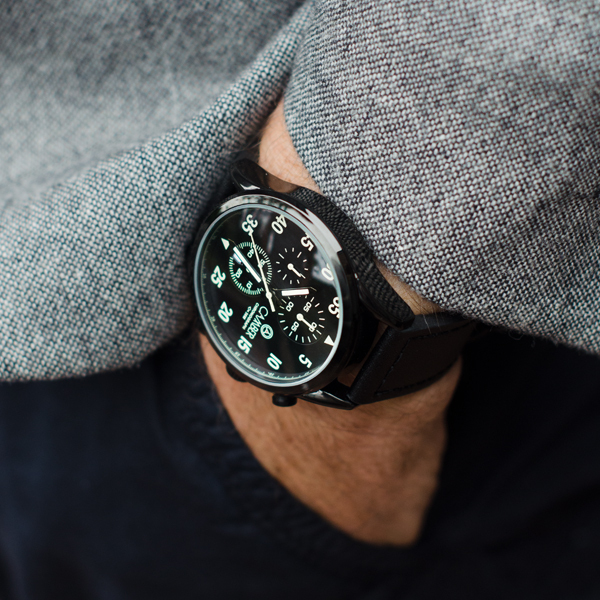 This, together with the classic appearance of the actual watches determined the theme used in the communication tools created for the brand’s launch on kickstarter. 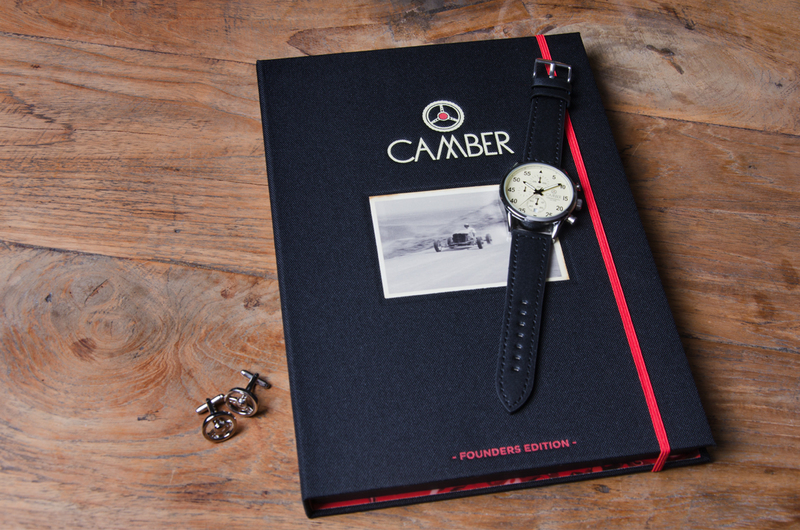 Next to the Camber logo we also created the packaging the watches come in together with a set of cuff links, a warranty card, instruction manual/card and a promotional film for use in the campaign. The photography used throughout the campaign was created in collaboration with photographer Eva Meijer. 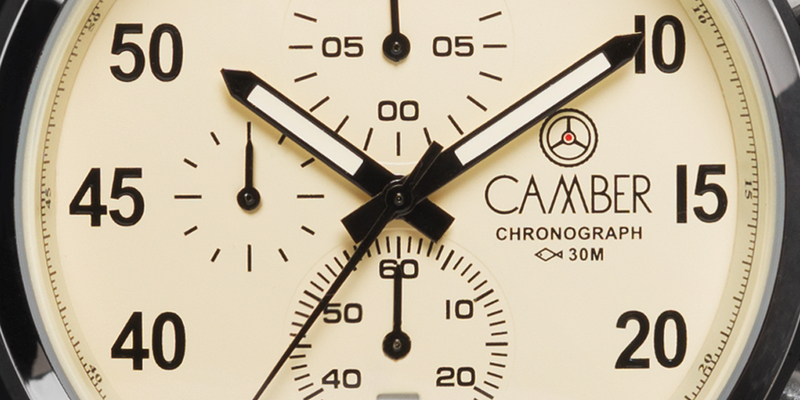 The Camber watches logo isn’t just used on the watches dial but on smaller parts of the product as well. 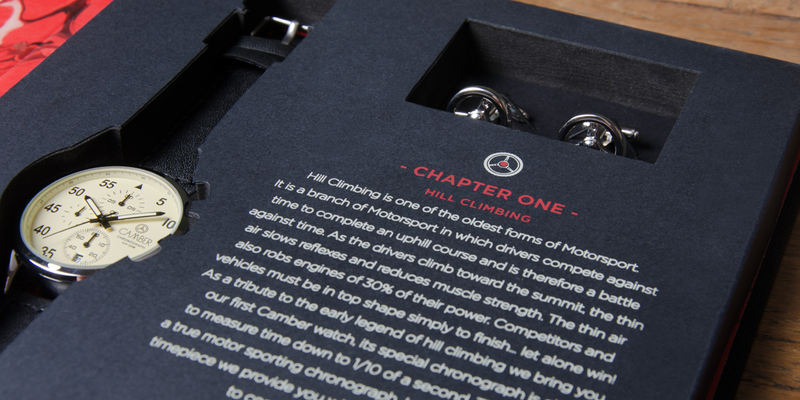 This enhances the luxury feel and the experience we wanted to be associated with the brand. Next to that the logo should also work on printed as well as digital media. 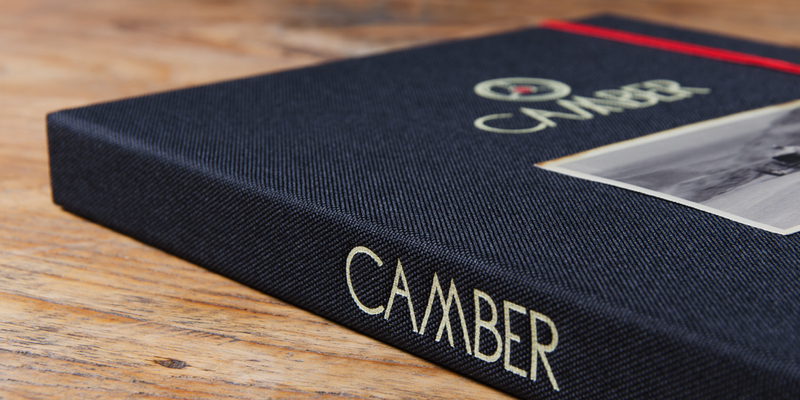 The screen printing process in combination with the linen cloth finish used on the packaging posed some particular challenges. 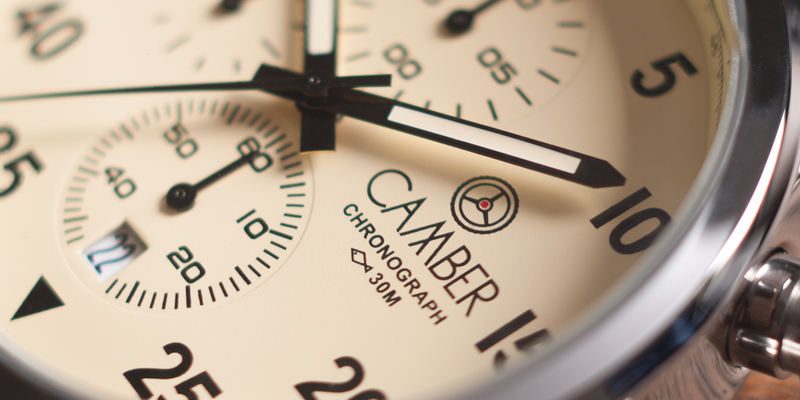 Custom made animations combined with vintage film footage and shots of the actual product where used to create the Camber watches mood film. Supported by a voiceover and a specially composed music score by Haddicts this film served as one of the main campaign tools on the project’s Kickstarter page.